I swear, if I hadn’t seen it with my own eyes, I would never have believed it existed. No, this is not a Photoshop trick. 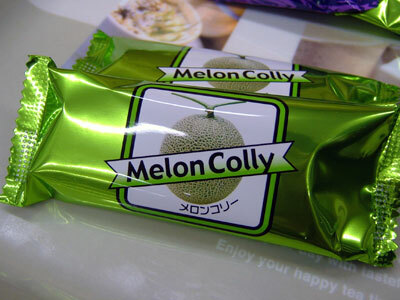 It really is the name of a candy here in Japan. This entry was posted in English Language, Random Diversions on June 7, 2008 by Shaney. Here is an idea for an activity for an ESL class. Give this list to students and ask them to fill in the missing parts. Ofi’at kowi’a lhiyohli. The dog chases the cat. Kowi’at ofi’a lhiyohli. The cat chases the dog. Ofi’at shoha. The dog stinks. Ihooat hattaka shooli. The woman hugs the man. The man hugs the woman. This entry was posted in English Language, Teaching on June 30, 2006 by Shaney. Get students to translate these sentences into English. They are taken from a book about common mistakes that Japanese people make, so the students are likely to make some mistakes. You can then explain the mistakes and teach them how to avoid that mistake in the future. This entry was posted in English Language, Japanese Language on June 17, 2006 by Shaney. Interesting facts about the English language. This entry was posted in English Language on November 23, 2005 by Shaney. This is a trivia game based entirely on the origins of words in the English language. The inventor of the game also has a mailing list where he sends quizzes out on a regular basis.